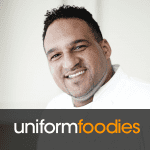 Did you know that according to a national surgery of uniformed professions, Doctors’ favourite meal is Fish & Chips? I must admit to being rather surprised, hardly the healthiest meal. And so onto my recipe, I’ve tried to devise a meal that doesn’t take forever to prepare – In fact, if you pre-cook the potatoes this can take less than 10 minutes. While this dish doesn’t strictly contain chips, I’ve kept the skin on the potatoes for extra flavour and texture. Light but hearty alternative to Fish, Chips and Peas - My 3 year old enjoyed it - My husband can't stop talking about it! Wash & Cut the potatoes into 2cm chunks and boil until just soft - 2 mins before they are done, add the peas to the pan - I'm all about saving on washing up! Preheat the oven to 190C. Season the fish with pepper & wrap each portion of fish in tinned foil - I usually do mine in a triangle with a point at the top. Place on oven tray and cook for 12 mins. Chop the bacon into 1-2cm pieces and sauté until just cooked. Drain the potatoes and peas and add the bacon. Melt the butter into this while still hot and add the mint/parsley. 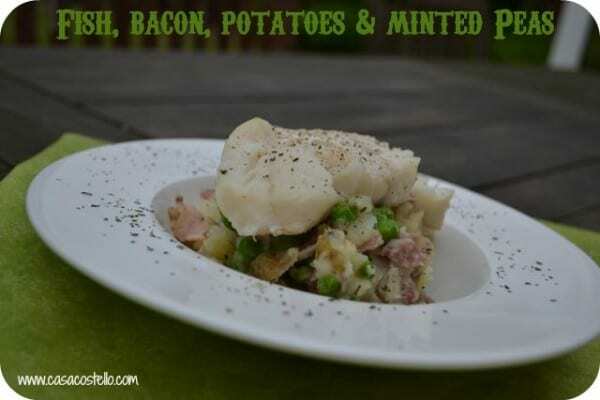 I like to bash the potato/bacon mixture up a bit so I get some soft mash textures and some chunks aswell. 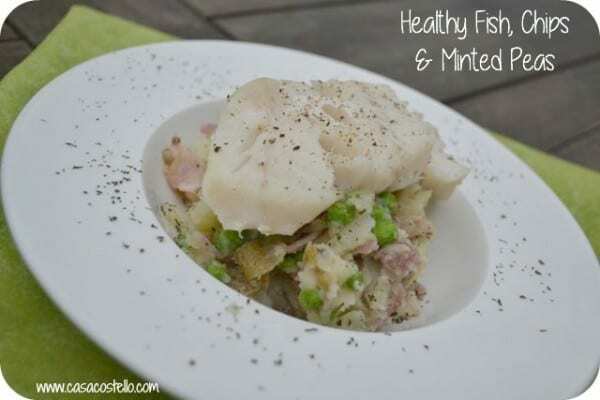 Place the fish on top of the mash mixture and season with salt and pepper - Gorgeous! Disclosure: This is a Sponsored Post – I received voucher to cover the cost of the ingredients.